The thick stainless steel handle has a polished chrome look. Hard and light, this nunchaku is fast. The handles are threaded and connect together, becoming a short staff baton. Removing one side of a handle reveals a hidden dagger blade. This hidden dagger nunchaku is completed with a durable Kusari (chain). The chain connects with a bearing type bolster on the Kontoh (top). 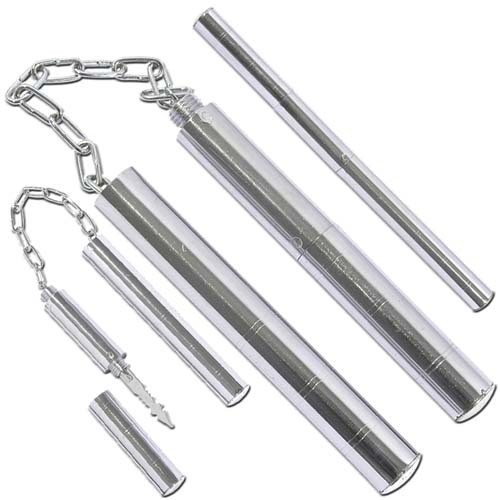 Every part of this nunchaku holds potential.